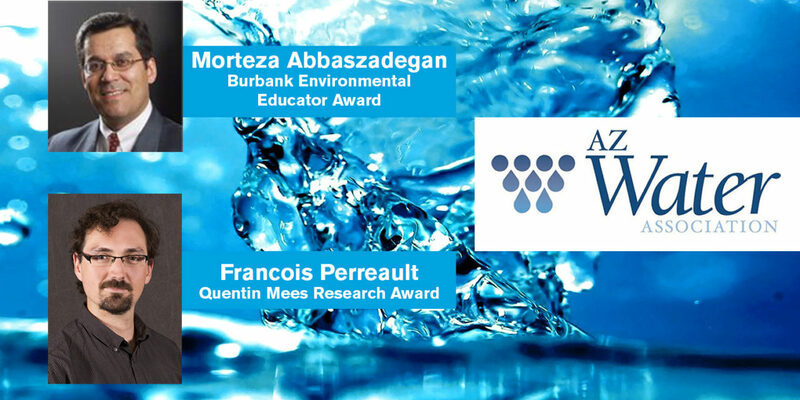 Above: Morteza Abbaszadegan and Francois Perreault were honored by the AZ Water Association for their contributions to water treatment technology and environmental education. 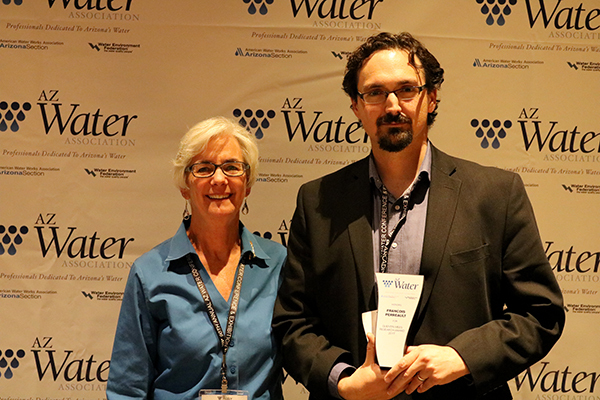 Two faculty members in the Ira A. Fulton Schools of Engineering received awards from the AZ Water Association in recognition of their contributions to water treatment technology and environmental education. Professor Morteza Abbaszadegan and Assistant Professor Francois Perreault, faculty members in the School of Sustainable Engineering and the Built Environment, one the the six Ira A. Fulton Schools of Engineering, were awarded the Burbank Environmental Educator Award and the Quentin Mees Research Award, respectively. Both researchers also hold appointments as Senior Sustainability Scientists in the Julie Ann Wrigley Global Institute of Sustainability. 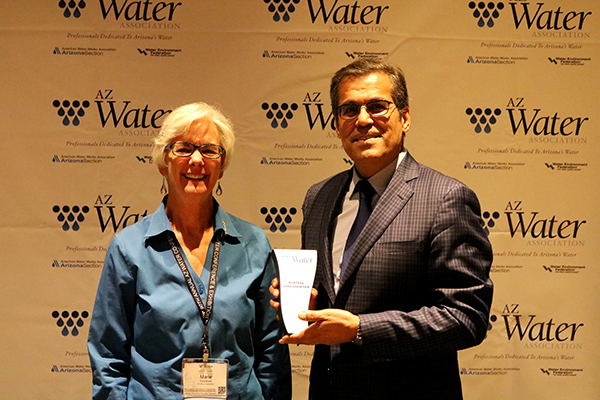 Both accepted their honors at the AZ Water Conference Awards Reception in early May 2017. 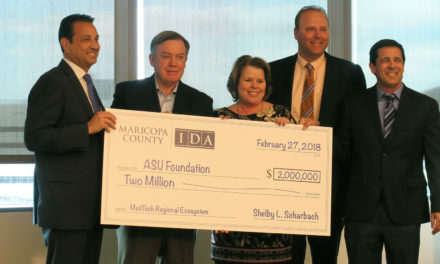 Named in memory of Nathan C. Burbank Jr., a training instructor at the Arizona State Environmental and Technology Training Center at Pima Community College, the Burbank award is given annually to an educator “for significant contributions to promoting training activities in the water environment career field in the state of Arizona.” It was established in 1996. 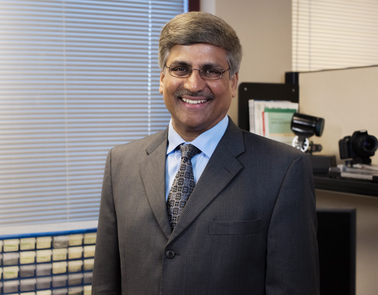 Abbaszadegan was honored for his contributions to education and awareness of environmental public health, specifically the microbial quality of drinking water. The founding director of the National Science Foundation Water & Environmental Technology Center at ASU, or WET, Abbaszadegan believes that only through the education of future generations about the important role the environment plays in human health can we protect and sustain the environment. “We must secure a sustainable healthy environment through education and training of our students and professionals in the water environment field,” says Abbaszadegan. WET is a nationally recognized center dedicated to addressing emerging water quality challenges both regionally and nationally. Since its inception, the center has played an instrumental role in training water quality professionals to perform applied research to improve drinking water and to investigate physical, chemical and microbial processes that affect potable water supplies. “We have exceeded all expectations and continue to succeed in achieving our goals in the area of research and development as well as training graduate students with an industry prospective,” says Abbaszadegan. In addition to screening for containments of the microbial and chemical varieties, Abbaszadegan and his researchers have developed a new way to convert contaminated water to safe drinking water. His team developed a biosensor for rapid detection of bacterial pathogens in water, reducing the testing period from days to minutes. 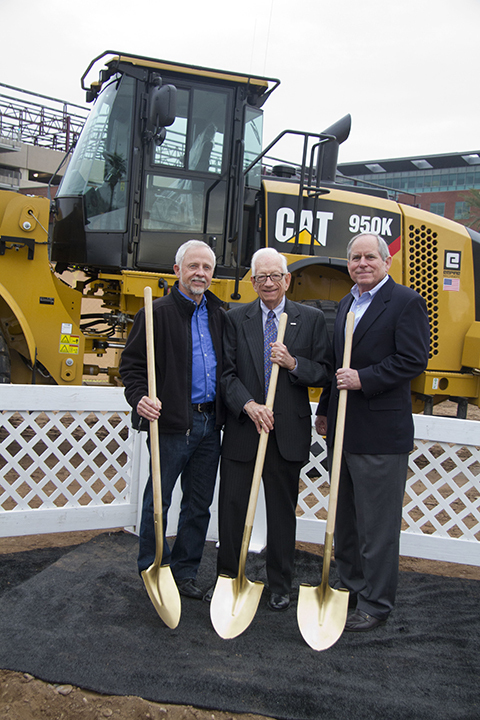 The research award was established in 1979 to memorialize Quentin Mees, a civil engineering professor at the University of Arizona. The award celebrates exceptional research papers and highlights water-related technology. Perreault’s winning paper, titled “Biofouling Mitigation in Forward Osmosis Using Graphene Oxide Functionalized Thin-Film Composite Membranes” focused on the development of membranes resistant to biofouling, or the accumulation of microbes. Membranes are used in water treatment to filter water on a nanoscopic level. “Biofouling is a major issue in membrane processes since the development of biofilms on the membrane decreases the membrane performance and results in increased operation costs, mostly in the form of energy, plant downtime and chemical costs for membrane cleaning,” says Perreault, a researcher in Nano-Enabled Water Treatment, a National Science Foundation Engineering Research Center headquartered at ASU. 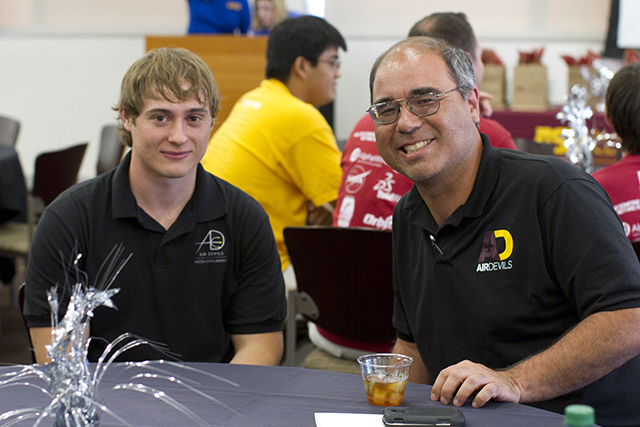 The work was a collaboration between ASU and Yale University, where Perreault previously worked as a postdoctoral researcher in the Department of Chemical and Environmental Engineering. He and his colleagues explored the use of graphene for use in membranes, as the material has both anti-adhesive and antimicrobial properties. These microbe-resistant graphene oxide membranes have a longer lifespan and require less chemical cleaning, thus saving considerably in operation costs, according to Perreault.